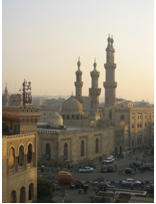 Cairo, the capital of Egypt, has a population of nearly 10 millions and is, thus, the largest city on the continent of Africa. It sprawls over both banks of the Nile, about 12 miles south of the river’s Damietta-Rosette fork. Most of the town is situated on the right, eastern bank; only in the last few decades has the city spread further and further to the west. In either direction, however, the desert quite literally takes over where the city ends. To the east, the Arabian Desert with the Mokattam Mountains; to the west bound Cairo by the Libyan Desert and the Pyramids. Formerly, Opera Square was considered the city center, but now this has shifted westwards closer to the Nile. 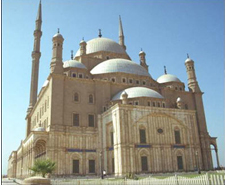 We offer a list of the most often visited, historical places, which are a must to see when in Cairo. The Museum holds the world’s largest collection of Egyptian antiquities, covering over 3,000 years of Pharaonic history. Within the walls of the Roman Fortress of Babylon and amid several Coptic churches stunning collection of icons, textiles, etc., dating from 300 AD. A magnificent collection, dating from the 7th century; rare and comprehensive. North of Khan El Khalili built in 1648 by a wealthy merchant, it’s the best preserved of Cairo’s medieval houses. Beautifully preserved example of Islamic architecture, which today houses artists’ studios, local crafts are on sale. Built by the Fatamids in 972, this is the worlds oldest university and the principle theological seminary in the Islamic world. One of the masterpieces of Islamic architecture, built in 879 by Egypt’s first independent Muslim ruler. Its massive scale and elegant simplicity makes it one of Cairo’s most impressive monuments. Built in 1362 on a grandiose scale, its fortress like walls contain a congregational mosque, four colleges of Islamic law, and the tomb of its founder. Built by Salah El-din, the chivalrous opponent of the Crusaders in 1176, as the fortress home of the Egyptian Sultan. Subsequent rulers added mosques and places inside its walls. 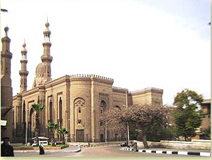 Within the compound are the mosque of Mohamed Ali, the Jewelry Museum, the Carriage Museum, and the Military Museum. Documents of medieval Jewish life were discovered here. It is believed the Holy Family rested after fleeing here from Herod . The earliest Known Christian place of worship in Egypt, it is suspended above the walls of the fortress gate. Egypt’s first capital, a small museum includes a splendid Limestone colossus of Ramses II, among other ancient sculptures. A sight not to be missed . Don’t miss the Sound & Light Show in the evenings. Home of the famous Step Pyramid, and the largest funerary complex in the necropolis . Preserved for 4,500 years the Solar Barque. Beautiful views of Cairo and all points from the top, a symbol of the success of modern Egypt. 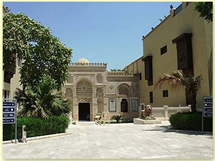 Once part of the Ismail Pasha’s gardens former ruler of Egypt, it now houses about 4000 animals approximately . Huge and wonderful with a warren of narrow passages and winding alleys lined with small shops, all glittering with gold, silver, colorful, souvenirs, leather, copper, brass, gems and textiles. The most shopping fun you’ll have in a lifetime. See live reenactments of ancient life in Egypt on Jacob’s Island. Visitors reach the village by boat through winding canals and amid live papyrus plants .